The future of the warehouse, may soon literally reside in hands monitored by ‘wearable technologies’ -devices connected to the Internet or to other devices that are worn on the body, to primarily improve communication to and from the users, enhancing task execution and completion. It is proposed that significant communication, productivity, and safety improvements can be achieved via the use of smart glasses, voice command devices, or location tracking wristbands. Subsequently, wearable technologies it seems, may behold the propensity to further improve operational efficiencies within the warehouse; with reported capabilities – according to the technology vendors – of increasing distribution facility efficiencies by 30 percent. In early 2018 Amazon received patent approval for a new wearable technology, designed specifically for use, and wear of workers within their warehouses, with the purpose of gauging the accuracy of warehouse workers’ items and picking locations. Using sensors, this innovative piece of tech implements software to confirm pick accuracy against the location of the inventory item being processed; whilst the wristband determines the correct placement of a worker’s hand in relation to the item currently being picked. 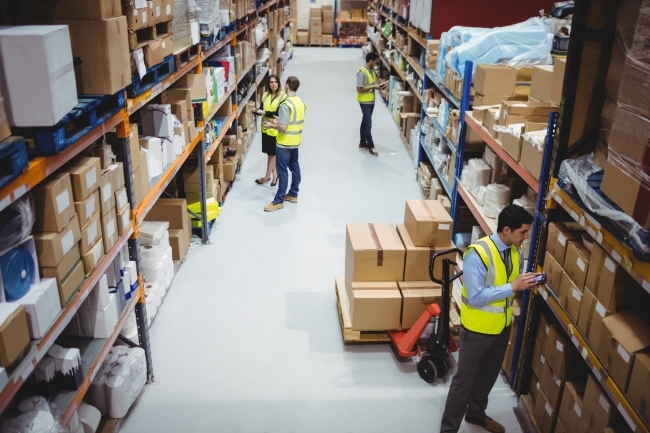 Designed to track the location of every product an employee handles, the wristband will also occasionally vibrate to guide warehouse workers’ movements and improve pick accuracy. Although the patent has been granted, it is still unconfirmed whether the technology will be introduced into facilities, separate to those warehouses owned directly Amazon. Never-the-less, this exciting new innovation has sparked the question on everyone’s lips, could and more-over should, a piece of software like this be used within the warehouse environment? Whilst humans and machines have been regarded as separate entities, collaborating when within a warehouse environment, some may view this particular innovation as a rather controversial piece of technology. There are sure to be many strong opinions surrounding this technology: will they be mandatory, will data be collected for ‘inactivity’ such as allocated rest periods be correctly identified as so? Will the jobs of those, whose data perceives them to be under-performing due to disability or similar hindering health issues, be affected? Additionally, concerns will undoubtedly arise regarding how and whether the data for each employee is sufficiently secure, and whether procedures have been established in the instance of a potential employee-data, data-breech? Previously, the media has made-visible, back-lash from Amazon employees complaining of allegedly highly demanding work, strict rules, short breaks and physically demanding work, for low pay; all whilst remaining faced with persistent pressure to continually reach targets. However, the main goal of the technology itself appears dedicatedly focussed on the development of better demand planning within distribution facilities, improving operational efficiencies, in favour of supporting and streamlining labourers’ workloads. Adopting this technology therefore subsequently serves to benefit not only the company, but more importantly their workers; of which the company implementing the tech, is doing so to better support and guide labourers to adopt processes which promote greater effectiveness, in-turn enabling them to complete a large majority of tasks using more succinct and efficient facility operations – saving not only company money, but more importantly making better use of their labour resources’ time on the facility floor. It seems that small ‘wearable technology’ including wrist wear, eye wear, drones, and voice command devices are quickly becoming widely recognised, and condoned as an acceptable and appropriate system, to manage and maintain the efficiency of tasks completed by workers within the warehouse, to ultimately provide better working conditions for labourers. 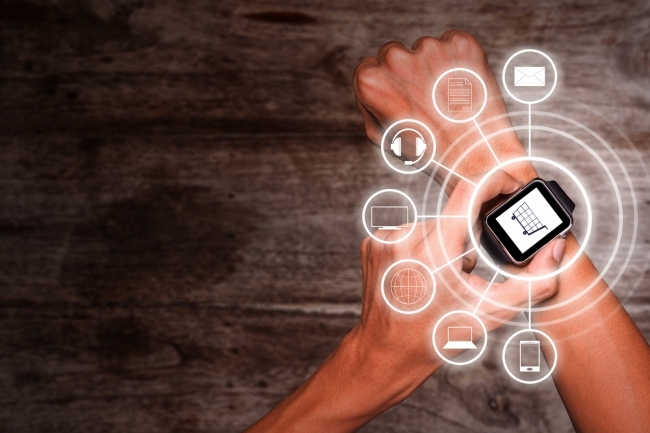 We cannot be sure about what exactly the warehouse of the future will require, however, with ever-increasing pressure on e-tailers to achieve ‘Amazon-like’ efficiency within their warehouse operations, it seems that following the demand for warehouse workers performance to be monitored, and more importantly improved, via wearable tech, that it will continue to grow in popularity and usage. Whilst the ‘Amazon-effect’ continues to drive companies’ hunger for achieving and exceeding the main goal of effective warehouse operations (shorter lead times and fast turnarounds to keep up with the ever customer-centric logistical landscape) accuracy and speed still remain as the main drivers for achieving optimum levels of efficiency, and it is wearable technology that can serve as a source of guidance to help companies get one step ahead of the e-commerce conglomerates that exist as a constant source of competition.